When you’re trying to interview a man with a deadline to write a book, finding a convenient time isn’t easy. 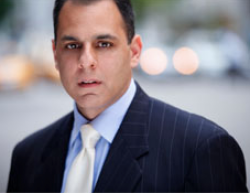 When that man is Mark Minervini, whose hectic days are split between trading and finishing his eagerly-awaited new investing guide – Think and Trade Like a Champion – the pressure’s even worse. When I finally managed to catch him - one evening after the market close in New York - he was generous with both his time and his views. For more than three decades, books have played a crucial part in cementing Mark’s reputation as one of America’s most closely-watched traders. This year sees the follow up to his popular 2013 guide, Trade Like a Stock Market Wizard: How to Achieve Super Performance in Stocks in Any Market. That was written 10 years after he was profiled in Jack Schwager’s Stock Market Wizards. In his new book, Mark’s promising to cover everything that couldn’t be fitted in first time around. So what’s his appeal? Mark started trading with very little capital in the early 1980s. After several years of losses, he took his strategy back to basics and got scientific with what was working, and what wasn’t. It was a turning point that transformed his results. In 1997 he was named U.S. Investing Champion after smashing the contest with a gain of 155%. It served to prove the effectiveness of his strategy even under the most competitive conditions. Since then, he’s won a huge following and built an education business on the back of it. In essence, Mark is a growth investor. He made his name shooting for big gains in fast moving stocks with a strategy that blends fundamentals, technicals and strict risk management. The process is carefully laid out in his first book, with a particular focus on getting the timing of trades absolutely right. But what comes across when speaking to him is that the precise strategy is very much a personal decision. What’s more important is the belief and mindset to stick with it, and an unswerving discipline to avoid big losses. Mark, tell me about how you’ve evolved and developed your strategy over time? My strategy developed very simply because I had a small amount of money and I wanted to turn it into a large amount of money. So I had to find a way to trade the markets and be able to very rapidly compound my capital. Really interstesting post, thanks. Any chance of sharing yor 25 tests? His trend template mentions specific criteria from which to create a screen but the levels for his fundamental criteria do not seem so specific. I'm very happy to share my current 25 tests. Unfortunately I have singularly failed to work out how to do a cut and paste (using Microsoft Snipping tool, or even screen shots) into this Stockopedia postings tool. I have tried the Text Editor, and tried creating a word document but to no avail. Do you know how I could get my screener into this thread? I'm sure there is a simple way as HumourMe did it in an earlier post (#228) but I do not know what it is. Many thanks, I'll try that. Thank you for your interest in my post (#232). This is my screen (in it's current guise, I'm sure it will evolve from this point). To segment the market I use the following ranks - QR, MR & SR. I vary these from Rank > 70 to Rank > 95 depending on how harshly I want to narrow down prospective hits. If I'm doing a screen in US only I work with Rank > 90 (or even 95). If I'm screening UK only I use Rank > 70. If I am doing a screen across the three markets - US, Europe & UK I use Rank > 80. Next, the screen then filters out types of stocks I'm not interested in. Note on Size Group its an exclude. Therefore if you want just Large Caps, add into the box, Mid Caps and Small Caps. Then do same action for Mid caps and/or Small caps only. With StockRank Styles it is not at all likely a Contrarian will be found because of the rank combination. Next comes my momentum portion (very Minervini). I altered 52w Low from Minervini's >30% down to 15% as I am trying to get into stocks going into a Stage 2 rise at an early juncture. Minervini's 30% is probably well suited to the US market, but I feel too ambitious for a UK/European market. With regard to 50MA & 52W High, I have found that if a current holding and a potential buy has a 50MA <+5% AND a 52w High more negative than about -7% these are warning flags and I would not buy in with these present and often use these as slice/exit criterion. So, in short I might refine this 52 Wk high setting. With regard Price Change 6m vs Price Change 1y, these are arbitrary values and are likely to be refined as I test the screen further. But, the key point is I prefer the 6m to be greater than the 1yr as this picks out stocks whose price growth has occurred in the recent half-year rather than the first-half of a year. Next section attempts to build from Minervini's message that share prices are driven by earning growth. Thus I am trying to use tests which identify earnings, sales and margin growths. Also, trying to capture stocks which do not have excessive debt. Minervini also advocates the importance of trading volumes as a signal to enter or exit a stock. This test (a proprietary Stockopedia one, I believe) attempts to offer some information about that. Note this will return either a positive or a negative value. It is also only reporting volumes so you need to examine the share chart to see if volumes are buys or sells. And, you need to decide in the context of your buy/sell criteria if a negative or a positive number is a good or bad signal. Next two tests are Sector and Industry. I don't like Metals & Mining so I exclude these. This is a personal bias so this test could be suppressed or added to for personal biases. I have a Sector includes if I wanted to do a Sector by Sector screening (like SNAPS). Mostly I suppress this. The next section is a recent evolution. More stringent EPS growth tests (borrowed from the generous offerings from PhilH's postings and fantasy fund screens). In initial screenings I often suppress these to get a feel for what's out there. But, I use them on cross market screening when I'm trying to get the best of the best from across US, Europe & UK. Also, they are really useful for the 'Run a checklist' tool as they highlight strengths and weaknesses of stock options. Finally, a test which can be suppressed depending on what you are looking for, and depending on what the market has done in the very recent past, as if the market has just dipped good stocks can be excluded unnecessarily. This test is present because if I'm about to buy or add to a holding I really would like to direct monies towards a stock which is exhibiting momentum now. You will note there are 26 tests presented. The Sector includes test is simply a filtering one not often used. Therefore its the 25 which are the core set of tests. Finally, the screener is but one step in a multi-step filtering process. It finds options to consider. After a screening run I put these onto a QM watchlist. Then at intervals I examine that watchlist to filter out the best of the best from it (usually one to three buys). This I do by pulling out the best say 10 QM, MR, SR, 50MA >+5%, 52wk High > -7% and the best momentum record over past year (SP 1wk, 1m, 3m, 6m & 1yr). From these lists usually one to three stocks emerge which fit all or most of these filters. I then examine each stock and make a buy/add decision. That's it for now. It's all an experiment still. Recent UK results seem ok. US results very ok. European experiences are not yet tested. I hope it offers an idea or two for someone, as I have learned a great deal from others who have posted similar things in the past (PhilH, HumourMe and many, many others - my thanks to them all). What I have found with this Minervini screen development experiment is that creation of the screen really makes you think about how it is that you need to translate your ideas of a good stock , which provides returns you desire, into a set of logical tests. This has been useful. But, the more useful stage is occurring now that after initial experiments I am building on and refining from a designed base of ideas. This is increasing my confidence and helped me to have confidence to go across markets and not remain anchored to the UK market. All the best, thank you very much for taking the time to read this post. I am humbled. Your advice worked. Thank you very much. Wow! Thanks for all this. It is interesting that you use looser thresholds for non-U.S. markets. This may explain why I've found it difficiullt to find good Minervini candidates. I've found Europe to be a virtual wasteland using his trend template although I've found a couple of good set-ups in the Australian markets. You've got "% vs 52 w High" < 25 in one of your snapshots. This won't do anything. Did you mean "% vs 52 w High" > -25 maybe? "What is the definition of % 50dMA / 200dMA? This measures the security's 50 day Moving Average price divided by the 200 day Moving Average price. Work by Seung-Chan Park has shown that companies whose 50d MA is far above the 200d MA significantly outperform those companies where the 50d MA is below the 200d MA. On a stock chart, the golden cross occurs when the 50-day MA rises sharply and crosses over the 200-day MA. This is seen as bullish." Yes, it should be just as you present. For some reason my brain struggles with negative numbers. I will correct it. Also, the 25% is a MInervini value based on his US market experience. My recent experiences, and also my own risk sentiment suggest this ought to be rather tighter to say> -15% for the screen. But, as I explained in the earlier post in a buy/sell scenario for a particular stock, I in actual fact narrow it further to > -7%. Many thanks for your comment. It really got me thinking. I believe I have set out the tests I need to obtain the hits I am seeking. Your observation that my criterion do indeed result in %200d MA > %50d MA is correct. All the %200d MAs are > %50d MAs. So, yes the screen does seek to obtain the stocks you suggest whereby the 50d MA is (far) greater than the 200d MA. Because the tests are pulling out the percentage difference of the MAs against the current SP. Thus, the %200d MA will most certainly be greater than the %50d MA, but the absolute 50d MA will certainly be greater than the absolute 200d MA. The important distinction is that when Stockopedia refers to % 50d MA it refers to the percentage difference of the absolute 50d MA to the SP, wheres when it refers to 50d MA that is the absolute figure. I hit this distinction issue when I was designing the tests and it took me a while to figure things out. I hope that explains why the screen operates as it does. Clearly these are my interpretations and others will see things differently. But, I really appreciate you taking the time to comment, they really made me reevaluate what I had done. "Thus, the %200d MA will most certainly be greater than the %50d MA, but the absolute 50d MA will certainly be greater than the absolute 200d MA. The important distinction is that when Stockopedia refers to % 50d MA it refers to the percentage difference of the absolute 50d MA to the SP, wheres when it refers to 50d MA that is the absolute figure." I think you're probably right about that. Based on what you wrote, I now think Stockopedia's definition of % 50dMA / 200dMA is the absolute 50dMA divided by the absolute 200dMA, expressed as a percentage. All very confusing! Yes, I fell into the the Stocko MAs definitions and distinctions trap more than once. It's easy to check what effect each rule has by duplicating the screen and then just changing the rules to see what effect it has. Yes it's sometimes difficult to understand what Stockopedia is doing sometimes. Yes, good idea and a good way to test out impacts as I refine the test parameters of the screen. One of the key things Mark looks for in a share before he buys is low recent volatility, it would be great if a new rule could be added to the screeners to be able to search for previous price volatility (%) on a 5 and 10 day basis. I have asked if this could be added, but if only one subscriber requests it it will probably be a low priority. If anyone else thinks it's a good idea will you please contact Stocko and ask for it as well. Also does anyone know if a different website offers a screener with this capability? I don't mind if I have to subscribe. previous price volatility (%) on a 5 and 10 day basis. How would you calculate? Presumably based on hourly returns rather than daily returns? Is it meaningful over such short time periods? That isn't the only criteria but it's an important one and would help reduce the number of charts I have to manually look at. An example of what I am looking for is HomeServe (LON:HSV), it has a large cup and what Mark would call a high handle. I have now found within the screening selection a price change rule which is available for 1 week or 1 month. So please ignore my previous request to contact Stocko to add it.